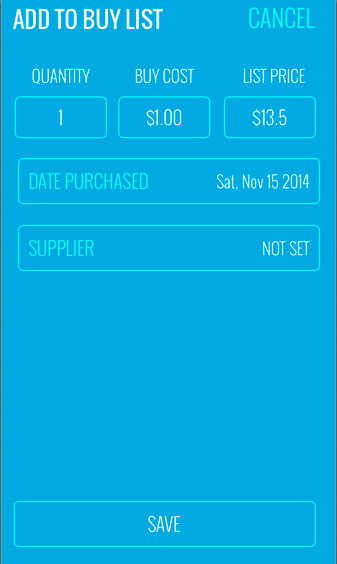 Scoutify 1 is the first generation mobile scouting app of InventoryLab. While it is still available for use, it is no longer being updated. We have since created a newer version, Scoutify 2, which is constantly being updated with new features. The easiest way to download Scoutify is to do a search in the applicable app store for your phone. Scoutify may be installed on multiple devices. If you cannot find the app in the store, these links can also be used to download the app. 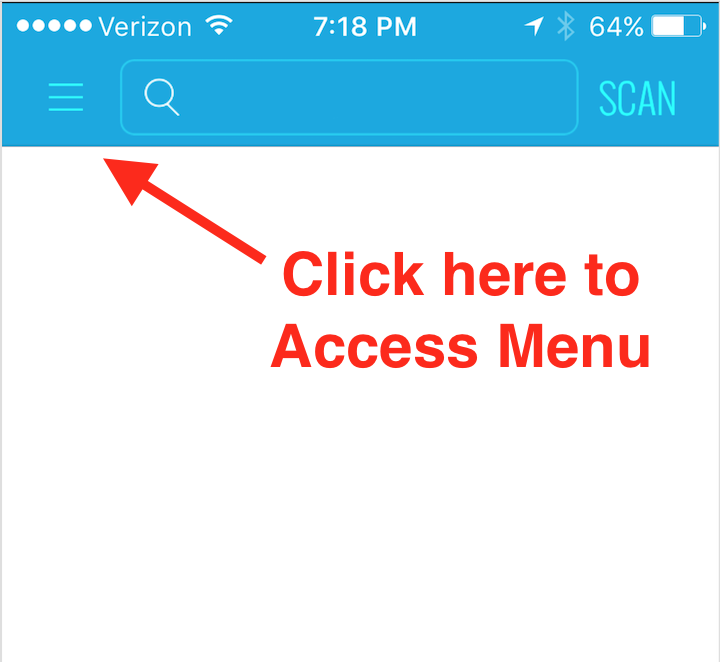 Once downloaded, enter your InventoryLab email and password to gain access to the app. 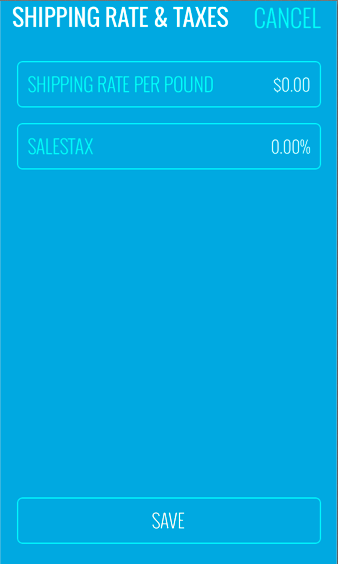 The app can be used on multiple devices at no extra cost. 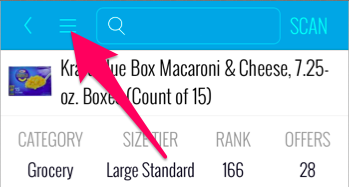 To access the Scoutify menu, “swipe right” or hit the menu button. 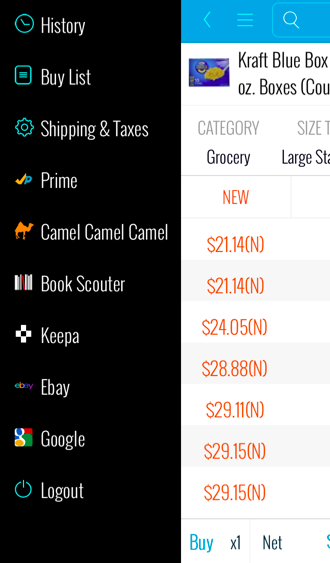 From the Scoutify menu you can choose your inbound shipping rate per pound and enter the sales tax rate you pay, if any, when you purchase items. The calculation of gross/net profit includes any expenses associated with these settings. 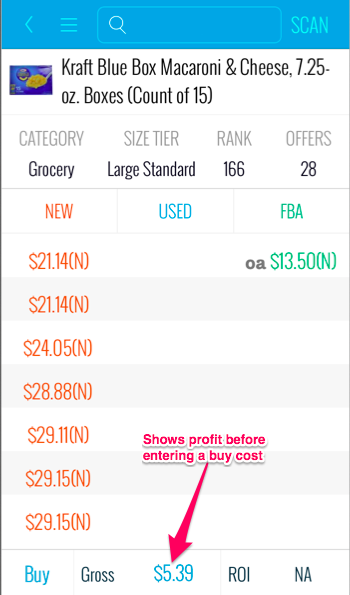 Once an item is selected, the profit is automatically calculated based on Amazon fees and your inbound shipping/tax settings. 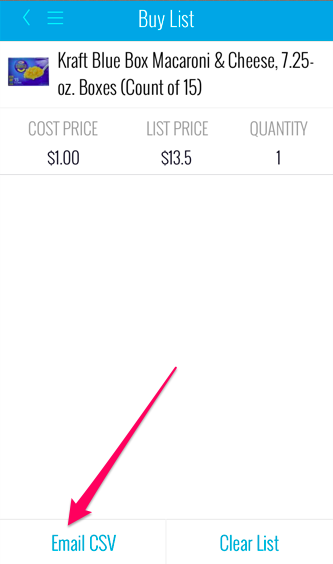 By clicking on the “$5.39” at the bottom center of the screen, you can enter your buy cost for the item. Once the buy cost is entered, the gross profit turns to net and the ROI (return on investment) percentage is shown. 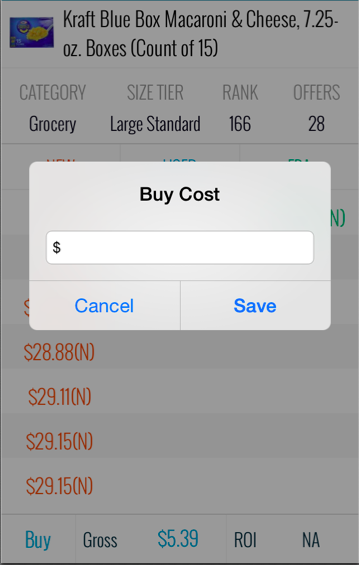 The buy list keeps a record of your purchases. That record can then be emailed to you in a CSV(comma separated value) file and opened, typically in Excel. Once you have emailed this list to yourself, you can then import this into a Private batch on the List page and List the items from your Buy List. 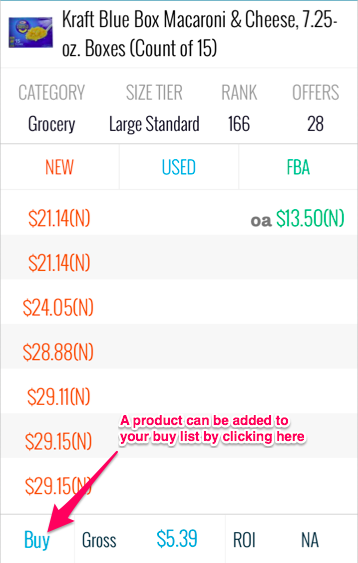 Hit BUY to open the next screen, where additional product details can be entered. 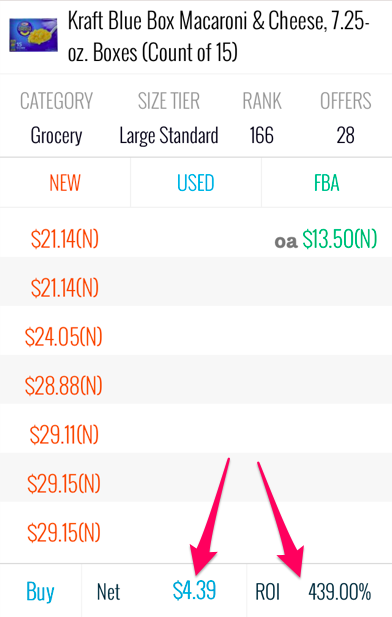 !NOTE: If you plan to import your Buy List later, entering a LIST PRICE greater than $0.00 is required. Don’t forget to SAVE before exiting. All of the products you’ve added to your Buy List are displayed here. Locate the .csv formatted spreadsheet in your email’s inbox. To import your Buy List into the List & Prep tool of InventoryLab, download the file to your computer. See Importing Your Buy List for additional details.